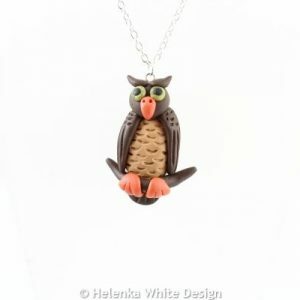 Hand sculpted owl pendant made to order. 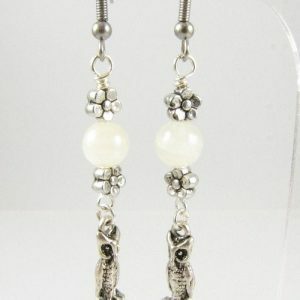 The owls are made with polymer clay. 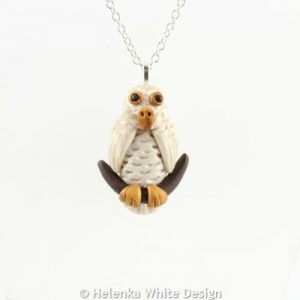 Cute snow owl pendant – hand-crafted with polymer clay. 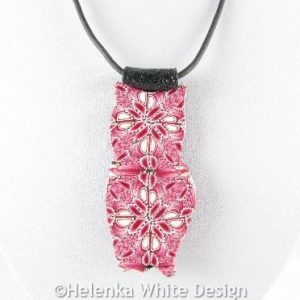 The pendant hangs on a silver plated chain and closes with a lobster clasp. Cute green-eyed owl pendant – hand-crafted with polymer clay. 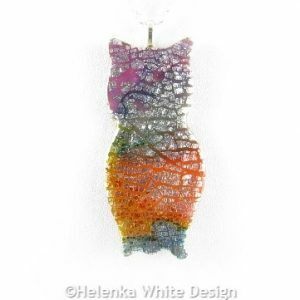 The pendant hangs on a silver plated chain and closes with a lobster clasp. 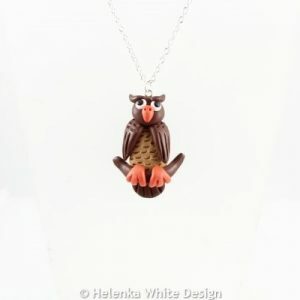 Cute brown owl pendant – hand-crafted with polymer clay. 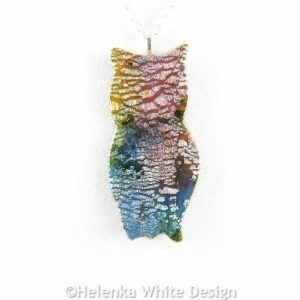 The pendant hangs on a silver plated chain and closes with a lobster clasp.